THE National Council of the Boy Scouts of America has a choice to make between being truly inclusive or increasingly irrelevant. The council’s 2013 decision to allow openly gay boys into the program did not go far enough. 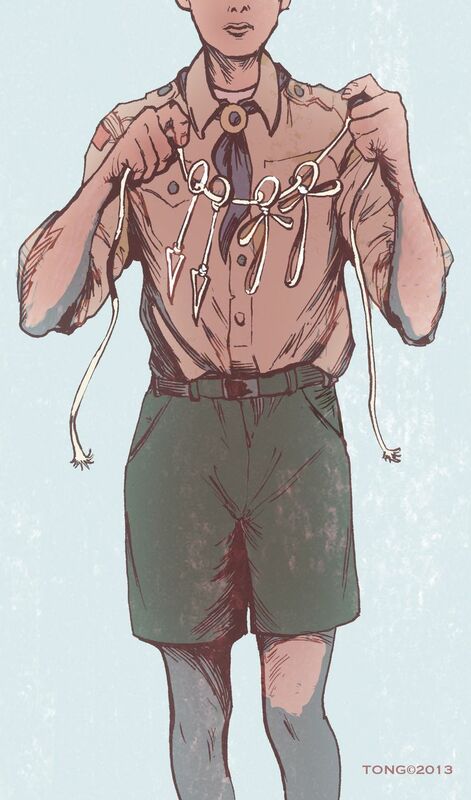 Now is the time to also accept gay Boy Scout leaders. There’s no better person to lead the organization through this transition than Robert M. Gates, president of the Boy Scouts and former defense secretary who helped to end the military’s irrational “don’t ask, don’t tell” policy for gay service members. Last week in a speech before the organization’s annual national meeting, Gates advocated for allowing local chapter sponsors — including churches — to set their own guidelines. This is a pragmatic position that gives leeway to some religious groups that would not be so open. In time, they might change their minds. Gates’ position reflects the times in which we live and should be adopted by the National Council. Regardless of council action, Gates indicated national leaders would take no action against local councils that allow gay leaders. That’s a key development with implications for at least one local troop in Seattle. Last year, the National Council revoked Rainier Beach United Methodist Church’s troop charter after one of its leaders, Geoffrey McGrath, revealed he was gay. The Boy Scout’s Chief Seattle Council accepted the decision. Now the Seattle council can make amends by reinstating the troop’s charter so it can associate again with the Boy Scouts organization. According to Gates, there would be no repercussion. McGrath says the troop is still together, but it has chartered with the Baden-Powell Service Association, a much smaller outdoor program that does not discriminate. But the closest chapters are in Skagit County and Portland. Chief Seattle Council President Rob McKenna says the group agrees with Gates’ approach and hopes the national board will update its policy. If the Boy Scouts of America wants to keep its mission and membership strong, the organization should be open to all children, their parents and their leaders. As Gates said Thursday, the organization has a chance to change on its own — or be forced to change by the courts.